Transformation of the Day: Febeh lost 39 pounds. Her motivation was a desire to treat PCOS naturally and without the help of medications. 11 months ago, she embraced the low carb, high fat eating style known as Keto. She has learned to allow for restarts and to be patient when it comes to seeing results. Check out her awesome story. What was your motivation? What inspires you to keep going? My motivation stems from my desire to treat my Polycystic Ovary Syndrome naturally. After 11 years of having PCOS, I can finally say that I am treating my condition naturally without the help of doctors or any medications. know that the only person who can help me, first and foremost, is me. After losing the same 10 pounds over and over for years, I decided to try the Ketogenic diet in February of this year. Keto is a low carb, high fat diet. I did my research and it seemed to be the perfect diet/lifestyle for losing weight with PCOS. Some women with PCOS will tell you that they suffer from carb sensitivity. Knowing that my body doesn’t like carbs, and that carbohydrates and sugar trigger my insulin to spike uncontrollably I decided to just give up carbs. I workout routine has been the same way all year because it works for me and my goals. I workout 5-6 days a week. I lift weights 5 days a week and I make sure to train a different body part everyday. I do cardio 3-4 times a week. I do steady state cardio 2-3 times a week, which means 40 minutes to one hour of cardio at a steady pace and heart rate. I do HIIT (high intensity interval training) cardio 1-2 times a week. With this kind of cardio, I create a circuit for myself or hit the treadmill where I do 8-10 rounds of sprints for 30-45 seconds each round. My HIIT sessions are 20-25 minutes. My starting weight was 266 pounds at 5’9″. I currently weigh 227 pounds. My goal is to lose 2-5 more pounds by the end of this year. I try not to focus too much on my weight, because with PCOS my weight loss tends to be a lot slower than other women’s. My overall goal is to lose body fat. I’m currently at 30% body fat, coming down from 40%. My goal is to get down to 20% body fat with visible abs. My most recent transformation took me 11 months to accomplish. My initial weight loss journey began in December 2010. My endocrinologist, who was helping me treat my PCOS, told me that at my weight I was borderline diabetic and if I gained 5-10 more pounds that would result in me being full blown diabetic. I was put on a medication known as Metformin to treat my PCOS and to help prevent me from getting diabetes. After 4+ yrs I grew tired of swallowing 4-6 horse pills a day. I decided enough was enough and took my health into my own hands. What is the biggest lesson you’ve learned? The greatest lesson I have learned while on my weight loss journey is allowing myself to start over when things don’t go right. I remind myself daily that starting over is okay. We live in a world where you are pressured to get it right the first time, because the world isn’t willing to wait and work with you as you grow and learn through your failures and mistakes. In allowing myself to start over, I am learning to forgive myself when I fall down and to always pick myself right back up because sometimes there won’t be someone there with an arm out ready to help you up. The decision to embark on a weight loss journey is the first sign of effort because you’ve finally come to terms with the fact that you’re just not as healthy as you could be or it’s because you simply don’t look as good as you would like. There is no progress without daily effort, so when you don’t see progress just work harder, fight the urge to quit and fight the urge to grow lazy. Trust that your decision to take ownership of your health will result in something great in due time. Progress has no deadline, progress is not linear. Your weight will not determine the rate of your progress. Once you wrap your mind around that you’ll be in a much better space. Remember this journey is a marathon not a sprint. Update Feb 2018: Shout out to Febeh. Her body fat has gone from 42% to 29.9%. Beautiful! Thank you for sharing this as, I too, have PCOS and edging closer to diabetes. 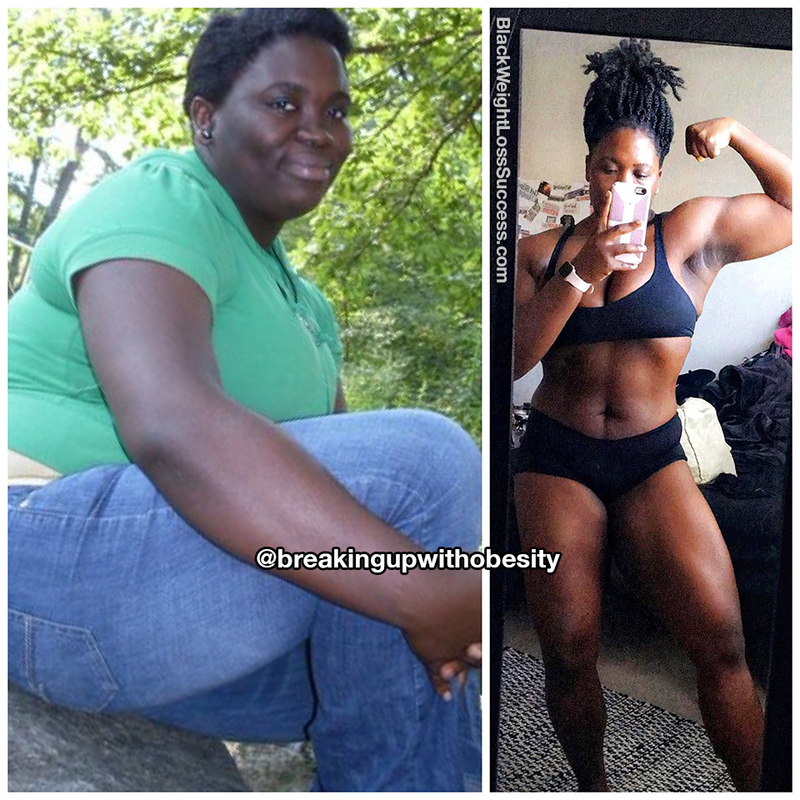 Your story is just what I needed to read to take the next step in loving myself and getting back to healthy living. Bless you! Your advice is epic thank you. I may just have to print off your story and carry it around with me. The guilt of constantly starting over is my biggest struggle. I have so far to go mentally to get where I want to be physically. I’m going to remember your words when I’m trying to make it happen for me!